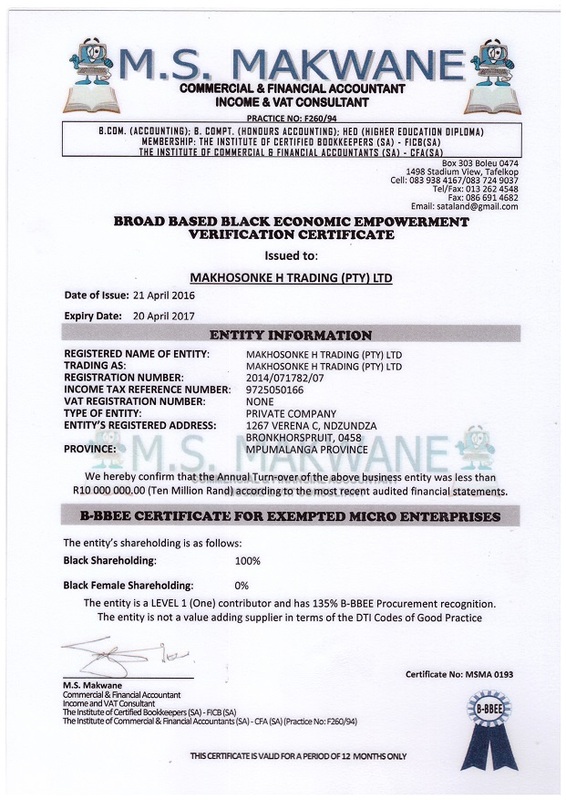 Makhosonke H Trading (Pty) Ltd is a 100% Black owned community based company. It was established on the 2014 Mr Lucas Buti Matshiya. 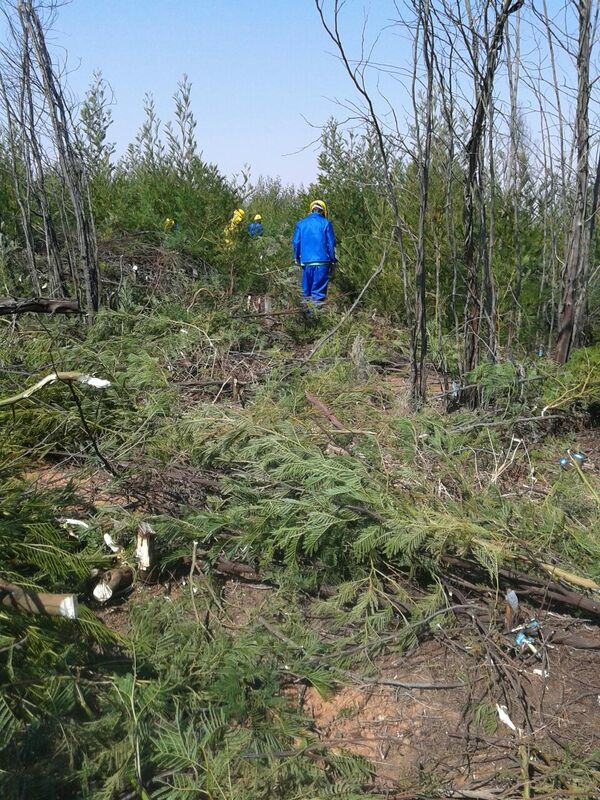 The company contributes to the development of areas around its place of operations in Bronkhorstspruit, through social upliftment and environmental awareness programmes which it runs from time to time. Mr Matshiya is an upbeat, energetic and well disciplined man with passion for environmental conservation, making Makhosonke H Trading (Pty) Ltd potentially one of SA business most successful businesses to come. 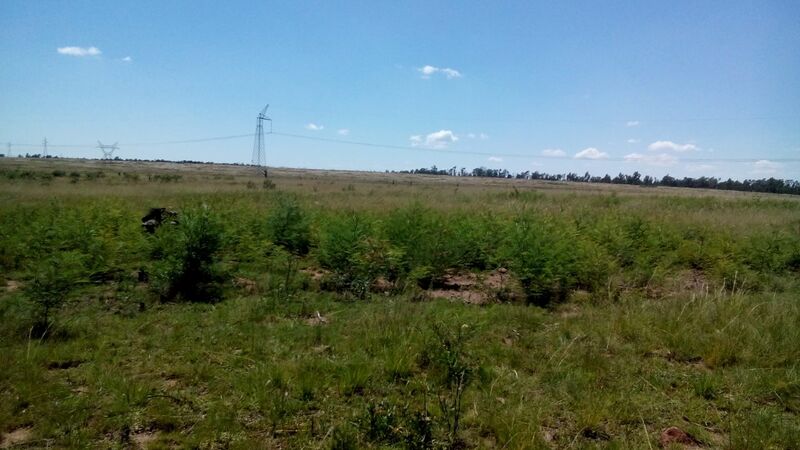 The company has won tenders from the Department of Environmental Affairs consistently since 2014. 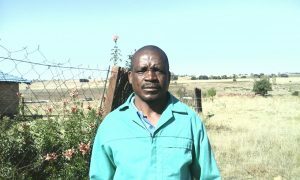 His skills include Basic Business Management and extensive skills in invasive Alien Plant Control and Maintenance including, first Aid and Herbicide Applicator. The company currently employs 11 full time and 10 temporary employees during projects. We have a team of young, dynamic and dedicated people who are the integral part of the company success. Our staff is comprised of 60% women, 40% youth and we always strive for 2% disabled persons. We recruit our staff from indigent families.